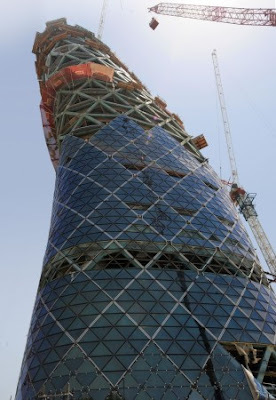 If you thought the Leaning Tower of Pisa was messed up, get a load of the Capital Gate tower currently being constructed in Abu Dhabi. Actually, saying it is "messed up" is incorrect given that the 18 degree westward incline was completely intentional. In fact, the project's architects have submitted a joint application to the Guinness Book of Records to recognize the tower as the 'most inclined in the world.' In order to support the awkward angle of the 35-story structure, the design called for a foundation of extremely dense reinforced steel mesh and 490 piles sunk nearly 100 feet into the ground. We can only wonder how many slaves will die or get injured building that. 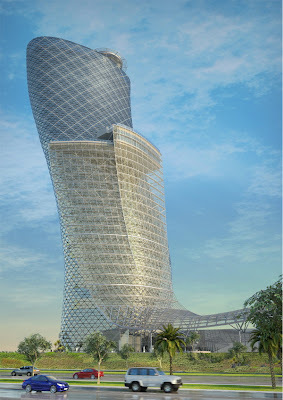 A symbol of engineering prowess, the Capital Gate tower hotel is starting to take form in Abu Dhabi. 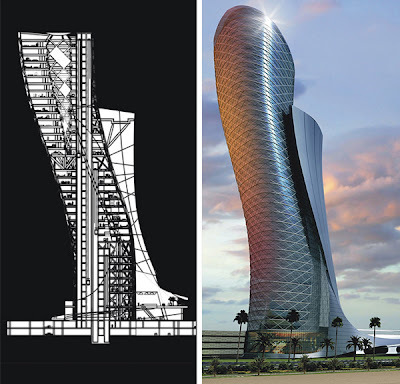 Designed as the most inclined tower in the world, the 35 storey, gravity-defying feature tower will lean westward 18 degrees, 4 times as far as the Leaning Tower of Pisa which currently leans 3.97 degrees. Designed by RMJM, the tower relies on a diagrid exoskeleton constructed on top of a 7-foot-deep concrete base to hold the structure in place. 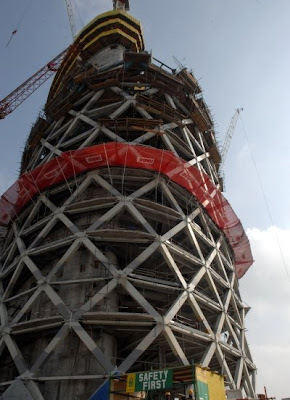 490 piles that have been drilled 100 feet underground will hold the structure still accommodating the gravitational, wind and seismic pressures caused by the lean of the building. 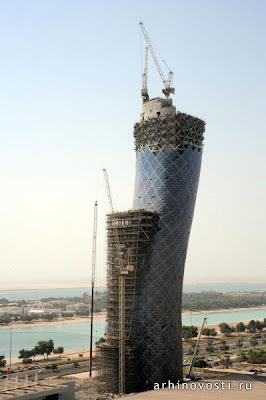 This is one of the most challenging buildings under construction in the world at the moment. 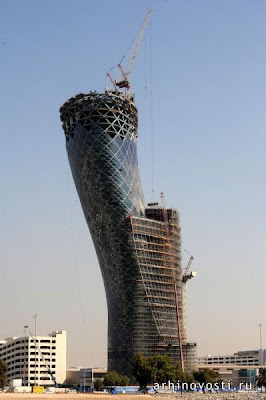 Capital Gate is an under construction architectural project, scheduled to be completed by the end of 2009. The graceful will provide accommodation to the ‘Hyatt’, 5-star hotel, together with various exclusive offices in Abu Dhabi. 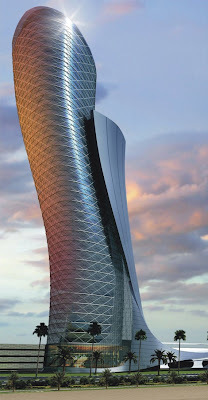 Capital Gate, leaning westward 18 degrees that is 4 times more than the Leaning Tower of Pisa, will not only defy gravity, but its aesthetic grandeur and technical brilliance would be a landmark for future constructions. Pretty great post. I simply stumbled upon your blog and wished to mention that I’ve truly enjoyed surfing around your blog posts. Thank you for a good webpage and I hope you preserve up the great function. If you do I will keep on to checked out it. HELP! NOT A RELIABLE SOURCE!!!!! Looking for the Ultimate Dating Site? Join and find your perfect date. People ask for criticism, but they only want praise. How to Get More Dollars? Copyright 2011 - Fun Zone Collection. All Rights Reserved.